In ‘Lion’, five-year-old Saroo finds himself alone and travelling on the wrong train away from his home in northern India. Frightened and bewildered, he ends up thousands of miles away, in chaotic Kolkata. Somehow he survives living on the streets, dodging all sorts of terrors in the process. Eventually ending up in an orphanage, Saroo is adopted by an Australian couple, and finds safety and love as he grows up in Hobart. Not wanting to hurt his adoptive parents’ feelings, he buries his past, his emotional need for reunification and his hope of ever finding his lost mother and brother. But a chance meeting with some fellow Indians reawakens his secret yearnings. With just a small store of memories, and the help of some newly-developed satellite-imaging technology, Saroo embarks on one of the greatest needle-in-a-haystack quests of modern times. Adapted from the incredible true story ‘A Long Way Home’ by Saroo Brierley and produced with Angie Fielder of Aquarius Films. 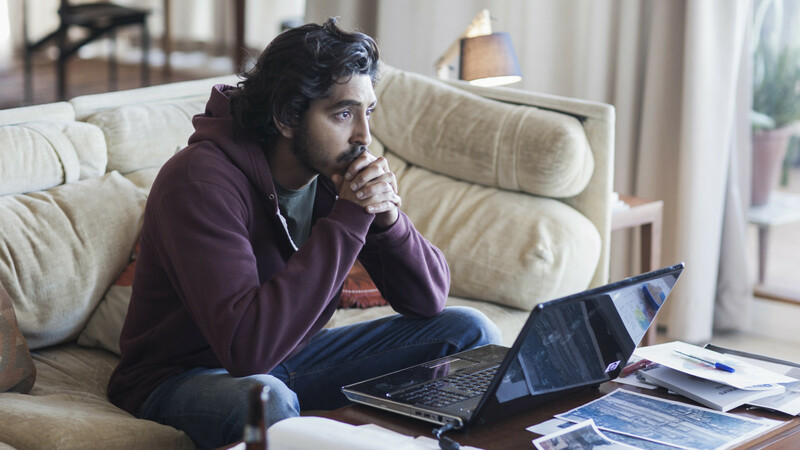 ‘Lion’ premiered in competition at the Toronto Film Festival and was nominated for 6 Oscars (Best Picture, Best Adapted Screenplay, Best Supporting Actor, Best Supporting Actress, Best Cinematography and Best Original Score), won 2 BAFTAs (Best Adapted Screenplay, Best Supporting Actor) and was nominated for a further 3 (Best Supporting Actress, Best Cinematography and Best Score), and was nominated for 4 Golden Globes (Best Motion Picture – Drama, Best Supporting Actress – Motion Picture, Best Supporting Actor – Motion Picture, Best Original Score – Motion Picture).